I've added this page to endorse several products and services that we've used as family and I would like to share with you. We are passing them along to you now with a wholehearted endorsement. Some (but not all) of the links are affiliate links, so we get a small fee for referrals. This fee does not make us endorse these products or services, they're simply there as an added bonus to us. We promise that we only recommend things we like, find useful and think you will benefit from as well. Low cost telemedicine at $9.95 a Month. 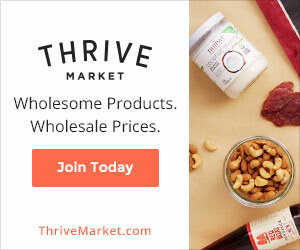 Click on the banner below and start shopping! Telemedicine and more $14.95 a Month. The service we use to watch movies. Stock up for a food crisis! We strongly endorse Answers In Genesis as excellent place to find creationist resources - click on the banner above. We strongly endorse Samaritan Ministries as an alternative to expensive health insurance.